Originally published in the WHO Goodwill Ambassador’s Newsletter for the Elimination of Leprosy, Issue No. 58 (October 2012). The information was correct and current at the time of publication. How a patissier became a photographer via a diagnosis of leprosy. After graduating from high school in my hometown of Malang, East Java, I enrolled in the Bali Tourism Institute to study cooking and pastry-making. I wasn’t that interested in studying or getting a job; I just thought it would be fun to go to Bali. But once the course began, I became interested. I applied myself and it seems I had a talent for it. I was chosen to go for six months’ training at a five-star hotel in Singapore. Eager to see more of the world, I applied for a job with Carnival Cruise Lines. I spent two years in the Caribbean, followed by six months in Europe. Although working aboard ship was hard, I really liked being able to visit so many different places. In 2008, while I was in Europe, red patches began to appear on my body. At first I thought it was some kind of allergy. I went to several different skin specialist but they weren’t able to identify what was wrong. I was given some prescription drugs, but they didn’t help. Over time, the number of patches on my body increased and I became concerned. I quit my job and returned to Indonesia. I went to various different skin specialists, but it wasn’t until I visited a health center in Surabaya, East Java, that I was diagnosed with leprosy. A doctor there had studied under Professor Indropo, who was an authority on the disease. It was a tough time. I didn’t have a job and my fiancé’s family forced me to break up with her after I told them about the disease. I was so depressed I shut myself away at home. To pass the days, I taught myself photography. 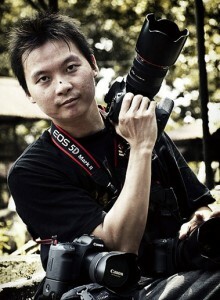 I began by taking pictures using a low-end digital single lens reflex (DSLR) camera. Photography has since become a big part of my life. Something else helped me through this difficult period: PerMaTa, the NGO started by people affected by leprosy to improve their quality of life and fight stigma and discrimination. I was introduced to PerMaTa by Dr. Diana Liben, who was helping me while I was on MDT. 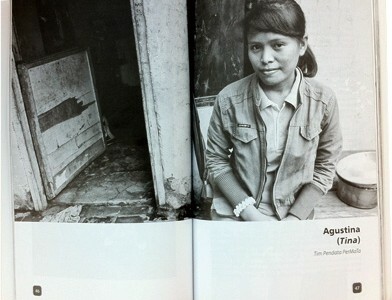 A dermatologist based in Surabaya, she is a mother figure to people affected by leprosy. Encouraged by Dr. Liben, I went along to one of their meetings. I met people in similar circumstances to my own, which felt like gaining a whole new family. I rediscovered my desire to live and decided I wanted to help others who, like me, had shut themselves away because of leprosy. Now I work as PerMaTa’s program manager. Because my job with PerMaTa is getting busier, I don’t have that much time for photography, but I still enjoy it. These days I mostly photograph models, but I’ve also undertaken plenty of assignments – everything from weddings to kids’ birthdays and commercial shoots. Photography is painting with light. It’s important to me because it allows me to express my artistry. In that sense, it’s similar to being a patissier: you need a sense of artistry, otherwise your work will be empty. Looking to the future, I’d like to get married, be a good husband, start my own business and make my wife and children happy. I will also continue working on behalf of people affected by leprosy for the rest of my life. Budi Yuwono is program manager of PerMaTa, an Indonesian NGO formed by people affected by leprosy. 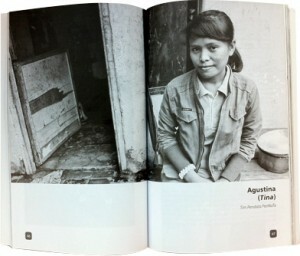 Budi was the photographer for Merajut Harapan (PerMaTa 2011), featuring inspiring stories of people affected by leprosy such as Nuriah (page 1) and Augustina (below).